This weekend I ran across a random copy of The Wall Street Journal and decided to see what passes for mainstream news these days. Reading it reminded me of the striking amount of terrorism propaganda being foisted upon the U.S. public. The numerous terrorism-related stories painted a confused and contradictory picture that reflects the difficulty in keeping the American public focused on terrorist threats and increasingly suspicious of their fellow citizens. The weekend edition of The Journal included five major stories about terrorism, including a shooting at a Colorado high school, the release of video from a hospital massacre in Yemen, and a review of how the Sandy Hook victims’ families are coping. In the most prominent spot, at the top left of the front page, readers found an alert for a major expose covering the Boston bombers. The fifth story was about the arrest of a Wichita man for plotting to blow up aircraft with a homemade bomb at the airport. 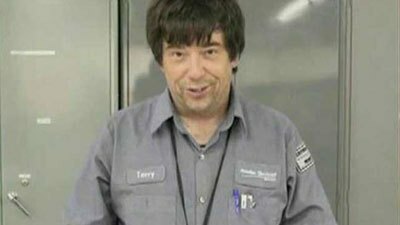 Terry Lee Loewen was an avionics specialist at a private company working at the Mid-Continent Airport in Wichita. Allegedly, he tried to drive his car, loaded with explosives that the FBI had helped him make, onto the tarmac to cause “maximum carnage and death.” This man, who neighbors called quiet and normal, was supposedly working for al-Qaeda in the Arabian Peninsula. Although Loewen is being portrayed as a serious, jihadist Muslim, he had no known connection to any Muslim organization in Wichita or elsewhere. Apparently he was only an online Muslim and the FBI caught him making comments about his desire to wage jihad against his own country on behalf of the members of his new faith. His neighbors couldn’t believe it and never saw anything suspicious about him or his current wife. And although his own son had no idea about it, and his ex-wife would never have predicted it, in his last six months he must have devoted every spare moment to his new mission. One might think that a new convert would take time to learn about his new religion and interact with at least one or two Muslims in his community. After all, doesn’t becoming a Muslim require more than just making a few online comments? Not for Loewen, according to the FBI. Instead, one day he was just a solitary, radical Muslim and he immediately began spending all his free time “studying subjects like jihad, martyrdom operations, and Sharia law.” He also “studied the airport layout and took photos of access points, researched flight schedules and acquired components to make car bombs.” He was obviously very busy and totally committed. FOX News reported that Loewen was inspired by Usama bin Laden. Investigators from the Wichita Joint Terrorism Task Force further claimed that Loewen “frequently expressed admiration for Anwar Al-Awlaki.” Republican Senator Jerry Moran of Kansas said that Loewen’s action reminded us that we must “reaffirm our commitment” to the War on Terror. Nonetheless, according to his ex-wife of 10-years, Loewen/Lane was a “peaceful, easy-going, quiet man” who “didn’t like confrontation; he was never one to start a fight.” She said he had left his job at Hawker Beechcraft Air Services for a time, to work at Learjet across town. She didn’t know when he returned to Beechcraft. “He was happy. He was a normal human being,” she said. And although The Journal reported that the son had no idea about Loewen’s conversion to Islam, The Wichita Eagle reported that the son told his mother that Loewen had recently become a Muslim. Therefore the news about Loewen/Lane and this alleged new terrorist plot includes many confusing reports and makes little or no sense. A 58-year old man with no connection to any Muslim organization just decided on his own to give up his entire life to become a jihadist. He forsook all other commitments to make a martyr of himself for the benefit of “brothers and sisters” whom he had never met. His family and neighbors apparently knew nothing about it. If we can learn anything from the incident it is that the next terrorist could be anybody—you, your father, your neighbor—anyone at all. And there won’t necessarily be any signs other than what the FBI provides about internet activity. This brings us to the big expose that The Journal published on the Boston bombers. Readers might wonder about the coincidence of the reporter from The Journal just happening to be a relatively close friend of the Tsarnaev family, whose two sons were accused of the marathon attack. Ostensibly, that relationship was initiated because both the reporter and the family spoke Russian and the reporter was doing research on Chechens and the “Russia’s Islamist insurgency.” But the friendship was clearly much more than that. Who could have predicted that chance relationship would come in so handy for a terrorism reporter from a major U.S. news source? Anyway, the story about the Tsarnaevs presents more contradictions. For instance, the mother of the accused bombers is portrayed quite differently than we have seen before. The woman who suddenly became a terrorist suspect herself a week after she began claiming that her sons were controlled by the FBI has most often been seen as a strict Muslim woman dressed in very traditional garb. In The Journal’s new story, however, she is “a wide-eyed rapid talker with a low-cut dress and high heels who waved her arms and teased her black hair like the pop singer Cyndi Lauper.” And she ran a business on the side giving facials. In this new light, mother Tsarnaev could be an office girl from Jersey, or the girl next door. We have seen this tactic before with other terrorism stories but never this blatantly. We are being told that not only can anyone be a terrorist, but it is more likely that anyone who questions the official accounts of terrorism is a terrorist. How convenient for the military-terrorism-industrial complex. If such an approach takes hold in the minds of fearful citizens, there would be no stopping the architects of the War on Terror and no shortage of suspects to keep the whole thing rolling along. The Global Terrorism Database: … a grand total of 30 Americans killed in terrorist incidents inside the United States in the last 10 years. In 2010 (the latest report), 15 Americans were killed in terrorist attacks; nine died in 2009; 33 in 2008; 17 in 2007; 28 in 2006; and 56 in 2005. The vast majority of private U.S. citizens killed in terrorist attacks died in the war zone countries of Iraq and Afghanistan. So the sad tally of Americans killed by terrorists around the world since 2005 comes to a total of 158, yielding an annual rate 16 Americans killed by terrorists outside of the borders of the United States. I doubt that you’re talking about real terrorism. You must be meaning what Washington misnames or mislabels as “terrorists”, I think anyway. But, what “private U.S. citizens” were killed in any manner in Iraq last year? Which which ones were killed in Afghanistan last year? And who are you talking about? What’s a “private citizen”? Do you mean “ordinary” civilians who aren’t employed in government functions or roles, like “average Joes and Janes”? If you do, then what were they doing in the war zones? Were they working as humanitarians or independent reporters or investigators? I doubt it’d be civilians of the U.S. working on investigating what’s going on in these war zones, for Washington would surely disapprove. I believe it would anyway. I doubt that any “Americans” at all, least of all civilians, were killed by any real terrorists during any time in the past 10 years. That some may’ve possibly been killed by “terrorists” working, wittingly or not, for Washington, like with what’s been going on in Syria, f.e., now this would be much more easily credible to me; but these sick “rebels” aren’t what I think should be considered real terrorists. After all, they’re proxy forces operating for Washington, regardless of whether they know it or not. If they don’t, then I suppose that they know that they’re associated, f.e., with the Saudi and Turkish regimes, but they aren’t “helping” these insane “rebels” without Washington’s directions. During the past 13+ years, the only real terrorism that’s happened is state terrorism. 9/11 was an inside job and an example of rather extreme state terrorism. But the people responsible aren’t normally referred to as terrorists. The killings committed by resistance forces might terrify us, but they’re resistance forces, rather than terrorists. Plenty of their attacks are terrifying, but what has been most terrifying about these? The suicide bombings; acts which apparently most people equate with or associate only to terrorist actions. When the Taliban send in suicide bombers, f.e., then it isn’t exactly terrorism. They’re resistance fighters and the methods available to them are awfully few when fighting against the super power multi-state terrorist alliance led by Washington for no justifiable reason. Would it be less terrifying for them to commit attacks using aerial bombings, like Washington and NATO do? Not to me. The methods employed by Washington and NATO are far more extreme and terrifying, but we don’t call them terrorism. I might be mistaken but doubt that any American civilians were killed by any terrorists in the war zones over the past 13+ years unless it was done by state terrorists or state-associated ones. The resistance forces fighting against war of aggression criminally waged against them aren’t what I’d consider to be terrorists even if some of their actions terrify many people and I find it all extremely tragic. They fight with the only means they have against super power alliances of aggression but are determined to try to win, and they ought to win against such criminal states. If civilians are killed, then it is the fault of the criminal aggressors, first and foremost of all. So, your comment is a little confusing to me. Very interesting information and excellent analysis, also conclusion. It’s amazing and even somewhat hilarious that they continue these games of deception, but perhaps there continue to be quite a lot of people in the USA who’re gullible enough to swallow this poisonous bait. This segment of the population hopefully is diminishing. We continue to have shills and trolls spreading anti-Islamic or Muslim hatreds, support of lies and hypocrisies of Washington, etc, but the segment of the population naive enough to believe the blatant and disgusting nonsense hopefully is diminishing. There apparently isn’t much activism happening and this seems to be the situation for quite some time now. If that’s true, then I truly wonder what a truthful description of the situation in the USA is for today. The whole idea that 911 was a conspiracy is 100% correct. We just need to identify all the players. With enough of that HSEEP training the participants must surely be well prepared to try out for Hollywood thrillers and become “movie stars”. Watching the video, just a little into it I checked Wikipedia, for it would surely have a page for HSEEP and it does. Reading quickly through that relatively short page and then watching the rest of the video, I definitely got the Hollywood thriller idea, for if people go through HSEEP enough, then they surely get some serious training in acting for simulated scenarios, say. Coming back and reading your comment again makes it only more clear that HSEEP is something to be very concerned about, for we indeed have had many state manufactured “terrorist” events, or events that were prevented or simply “failed”; while the public is told to believe that these were real terrorism plots that either failed or which the government (supposedly) foiled. I believe we can say that HSEEP illustrates/reflects the state’s extreme intent to try to continue to fool the public and that we can definitely expect more of these “games” of the state. It’s a little surprising though. After all, while it isn’t a majority of Americans, yet, many have become increasingly wary of Washington’s claims of terrorism. Roughly half of the population supports the need for a new and real 9/11 investigation. Many of these people don’t say that they believe that 9/11 was an inside job, but there’re those who believe it, and then all of these people agree on the need for a new and real investigation; because they don’t believe that Washington’s official story is right, certainly believing that it’s very questionable, at best. This, alone, should be enough to cause Washington to diminish its manufacturing of phony terrorism plots and events, but there seems to be no intention of relenting. They clearly have no intention of relenting with their global war of terrorism and, I believe surely, the ultimate goal of establishing global dominance led by Washington. When wanting to find the leaders of terrorism, then it’s far easier than it is to find a needle in haystack. After all, Washington is extremely larger than a needle and there’s no haystack large enough for Washington to be able to hide in. Cass Sunstein’s working it hard…but he’s at the wrong party. Now it would be NYC with its vast numbers of homeless children. And its billionaire mayor. I’d just like to say right now that I question the official accounts of terrorism, but that I have no thoughts or intentions of becoming a terrorist….It needed to be said. During the Stalinist period in the Soviet Union there were the show trials. I consider them to have been the equivalent of our war on terrorism, And for indefinite detention there were the psychiatric wards or the Gulags. The Soviet Union had a more introverted approach to totalitarianism. Even given the very limited grasp of history in America we can see how easily the masses can be cowed. How many Soviet comrades took the show trials seriously? Probably a large percentage of Americans realize on some level that the war on terror is a hoax, but fear causes them to close their eyes. This is sort of an adult version of the small child who believes if his eyes are covered the disagreeable thing has vanished or gone away. A misapplication of ignorance is bliss. There is another angle here of great importance. If I say to you, the President and many other high officials both appointed and elected are criminals, what is your response.? Intellectually you might immediately assent. After all you have read and discussed many things, so my statement is no shock. But look again. Isn’t there a resistant core in you? You have gone through the school system to some point. You had many teachers. You took to heart much of what they said or implied. And your parents and the parents of your friends and so on. Did they say things like the President is a criminal–many must have been after all for us to have gotten to this point. This is the civil religion. Presidents and other high official are not supposed to be criminals. This is deeply seated in all our minds. It is easy to denigrate Hitler or Stalin or some Latin American dictator–but we are supposed to be radically different here. There must be a misprint somewhere. It can not really and truly be the case. It just looks that way, because otherwise someone would do something. Wouldn’t they? So this is quite a barrier for the American citizen that the intellect may say yes,but the emotions say no, it can not be true. The latest surge seems to be bent on forcing an uprising with people not being able to afford necessity, reducing social security/unemployment insurance/SNAP/etc., GMOs, fracking, drones, surveillance, questions about Greenwald/business venture, TPP, NDAA, ACA, etc. all seem to be set up not just for control but to force an uprising as DHS is prepping militarily/detention centers as are local/state police forces. It’d be nice to know what incident or incidents this “latest surge” schrapnel is referring to would be related to Washington politics for “anti-terrorism” actions in the US for “securing” the US. I know about the bombings in Russia at the end of December or very beginning of this month of January but don’t understand why Washington would use these for policy actions or changes in the USA. Russia is attacked, not the US; in this case I’m referring to. As far as I’m aware of so far, there haven’t been any reports of any newly discovered plots for terrorist acts in the US, regardless of whether they’d be real terrorist plots or just more Washington fabrications. I hope that the above is clearly enough stated. That’s nothing new…the ‘it could be anyone now’ theory. It was the ‘it could be anyone now’ prior to 9/11…at least in my state. Trying to force private citizens to turn on each other for the sake of capturing the “big one” turned out to be the turning point in American history.